With the help of OneAlert you can configure several reminders and set up various alert types for each of them. iMagic Fleet Maintenance gives you the possibility of organizing your entire fleet of cars or trucks, in the same database. The feature-rich application FullTrust will help small businesses manage their inventory, customers, sales, and more. 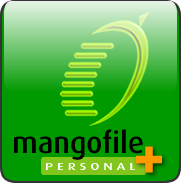 Using Mangofile you can manage and organize all your documents in a protected vault. Easily create and efficiently manage a database of all your customers with the EasyPrograms-developed application for Windows EasyCustomers. Timesheet Xpress allows you to manage time sheets for all your employees and also organize expenses. Edit drum parts and come up with catchy grooves with the powerful application for Windows and Mac, Archibald. MiniTask allows you to organize all your tasks in one simple interface and also mark the completed ones.